The Law Firm of Kevin A Moore is a Land O Lakes workers compensation law firm helping the victims of workplace accidents. Have you suffered an on the job injury and looking for workers compensation lawyers to help you understand your rights when you have a job injury claim? Our workers compensation attorney is committed to helping you and your family understand your rights in a complex area of law. He has handled thousands of Land O Lakes workers’ compensation cases for clients over the past thirteen years from cuts and lacerations to catastrophic head injures. He is committed to assisting injured workers and families in order to receive all of the benefits to which they are entitled to receive. He takes the time to clearly explain the complex and frustrating legal process to those clients injured in the workplace and work aggressively toward getting them their fair and just compensation. 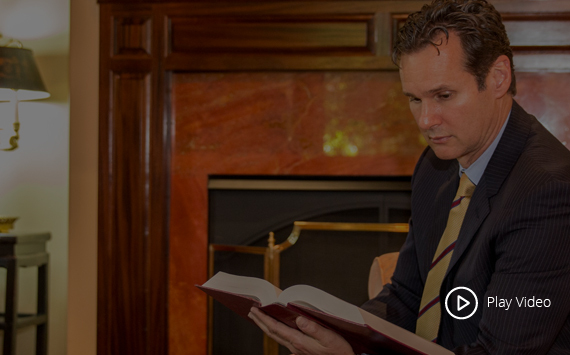 His consultations with you about your workers compensation case are always free of charge. Fees for representation are set by Florida statute and vary, depending on your type of work-related claim. He knows that the injured often have problems getting to an attorney’s office; that is why, wherever you live in Florida, he will come to you! Kevin has handled thousands of workers’ compensation cases for clients over the past 13 years. He is committed to assisting injured workers and families in cutting through the red tape to get all the benefits they’re entitled to receive. He has extensive experience in all facets of workers’ compensation law and has earned a reputation as a dominant lawyer in the courtroom. He represents injured workers and families in cases throughout the state. Attorney Kevin A. Moore is an excellent representative. He communicated very well with me in keeping me informed of my status. I would proudly recommend others to him. Kevin, I know without you my corrective surgery would not have happened. You are my hidden gem! And I thank you for making it happen. It’s a wonderful feeling to know that I matter beyond family. If you have been injured on the job, you can do it alone, but why would you? Workers Compensation injures are tough on everyone and you need someone to stand by you and for you …No confusion, no new associate attorney, just commitment to you and your family. The Law Firm of Kevin A Moore was established in 1995, serving the needs of employees injured on the job. Over the past twenty years Kevin has represented injured workers in all major cities within Florida. As a Land O Lakes Workers’ Compensation Injury Lawyer, Kevin prides himself on a direct relationship with his clients. When your job or workplace related injury is serious enough and your Workers Comp claim is important to you then call a qualified job injury attorney. It is critical that you find a capable and reputable accident lawyer. Call us today! Let Kevin assess your case and help you understand your rights. One phone call, no obligation, just information. When you focus on one thing you do it exceptionally well. With over 20 years of workers compensation experience Kevin is the teacher not the student. Kevin has two centrally located offices in the state where he services the needs of clients throughout the State of Florida. 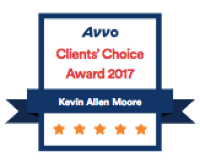 Our clients talk directly with Kevin about their case, every issue, every time. When you have been injured on the job, it is a very stressful time for you and your family. Let Kevin handle the insurance company while you handle your recovery. Losing an arm, a leg, a hand or a foot is a loss like no other. You know that you are still the same person you were before the workplace accident, yet you probably cannot help feeling less than you were. Adapting to any amputation is a gradual process and takes time. Stress and work-related arm injuries are common problems in the workplace. In fact, arm injuries are among the most common of Florida Workman’s Comp work-related injuries. Back injuries are some of the most common injuries and frequently the most traumatic Florida Workman’s Comp work-related injuries that a person can experience. Injured workers in the State of Florida have very limited choices regarding medical providers. It is very important to receive the proper medical care so that you can have a speedy recovery. If you have a Catastrophic Work Related Injury, then you are likely to be entitled to receive lifetime benefits. This is one of the reasons why Catastrophic Injury cases should only be handled by an experienced Florida WC lawyer – so much is at stake. With construction accidents and injuries on the rise, for Florida is seeing an increasing problem for construction workers having a toxic run-in with chemicals that could injury, debilitate, or even kill. A laceration, or cut, is a common injury to get in a workplace. They can result from slips, trip or fall, low overhangs, tools used on the job, exposed sharp surfaces, and many other causes. Under Florida’s Workers’ Compensation Law, death benefits are payable to an employee’s surviving spouse, or spouse and children, based upon a percentage of the employee’s wages, subject to a cap. A burial allowance is also available. Dismemberment Workers’ Compensation claims are, for the most part, treated just like amputation claims. The fundamental difference is in the ‘timing’ of the loss of the body part. Even with OSHA requirements and the increasing awareness of workers of the risks of head and brain injuries on the job, such accidents and injuries remain on the rise. If you suffer sudden hearing loss because of a workplace incident then you should report it to your employer IMMEDIATELY and file a Workmans’ Comp report. Knee injuries are among the most common workplace injuries and the most easily injured part of the body. This is particularly true for occupations involving moving, lifting, overuse or overload. Neck injuries are among the most common workplace injuries and the neck is one of the most easily injured parts of the body. Any part of your neck, muscles, bones, joints, tendons, ligaments or nerves – can be injured and result in significant pain. Repetitive motion injury: As reported to the Bureau of Labor Statistics (BLS), disorders due to repetitive motion or musculoskeletal disorders of the upper extremity associated with workplace exposures to a combination of repetitive, forceful exertions and constrained or extreme postures. Work-related shoulder injuries are common problems in the workplace. In fact, shoulder injuries are among the most common of Florida Workman’s Comp work-related injuries; more than half of shoulder injuries were for rotator cuff problems. Our workers compensation attorney serves Land O Lakes FL and other cities throughout the state.